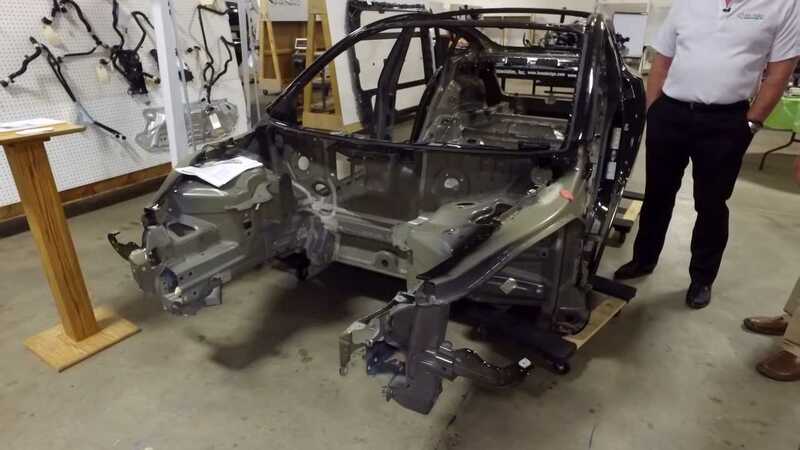 The tale of the Tesla Model 3 teardown by Munro & Associates continues. Bloomberg published a piece today that again goes over the findings from the work carried out by the firm earlier this year, and includes some recent input from Sandy Munro, the eponymous founder of the firm. According to Mr. Munro, he sent Tesla — for free — a list of 227 ways in which they could improve the mid-size sedan. We'll go over a few of those items in a moment, but first, a quick refresher. Contracted by an outside company to perform a complete teardown analysis of the Tesla Model 3, the consultancy released some initial findings in a video interview with Autoline back in February which we not especially complimentary. The phrase "the gaps on this car, you can see them from Mars," springs to mind. Later that month, again with Autoline, they released some driving impressions, which were notably more positive. Aside from a quibble with the center screen containing all the driver's information and most of the controls, they very much enjoyed the driving experience. That positivity continued during Munro's next appearance, this time in the Autoline Afterhours studio. Though still critical of the build quality, he expressed some amount of astonishment at the sophistication of the electronics located within the car. Finally, in July, Autoline visited Munro & Associates after the analysis was finally complete. This time around, in addition to positive notes about the battery and electronics, he admitted that "I have to eat crow," saying the car would be profitable "by over 30 percent." So now that we're all caught up, what are some of the improvements Munro would like to see? They seem to be mostly body-related. For instance, he believes parts of the steel and aluminum frame to be somewhat redundant. The battery pack sits down there and already adds strength and rigidity. Another issue can be found around back in the trunk. Here, the body is made of as many as nine separate pieces held together with welds and rivets. According to Munro, other manufacturers might use a one-piece fiberglass trunk. By contrast, the Chevy Bolt, we're told, features a stamped piece of steel. Perhaps it was because of the attention that the teardown got at the time, but Tesla CEO Elon Musk did talk with Munro about his findings. Apparently, one of the recommendations he made was for Musk to fire the person who had engineered the body, which he was promptly informed had already happened. One of the other areas found to be ripe for improvement doesn't have as much with the car itself, but rather its manufacture. According to Munro and others interviewed for the piece, Tesla has too many people putting the vehicles together. Remember those welds and rivets? According to the analyst, that type of joining isn't suited to automation. Bloomberg points out that when the plant was operating under the auspices of GM and Toyota, it produced as many as 450,000 vehicles a year with a headcount of about 4,400. Now, the same facility is said to have about 10,000 workers. Tesla may have more vertical integration going on, requiring more hands, but the difference between the two scenarios does point to room for improvement. The good news is that the Tesla philosophy is one of continual improvement. Unlike other automakers, the Silicon Valley operation doesn't produce separate model years, preferring instead to improve its vehicles and production processes when it can. Certainly, it does this with its software, improving customer's cars years after they've been in their possession, and we can say that there has been a huge improvement in the fit and finish of the Model 3 since it first began limited production. Whether they can improve their physical product and processes while increasing labor productivity, leading to profits is the yet unanswered question. Hopefully, we'll soon see a large positive step in that direction when the company's 3rd quarter financials results are announced.